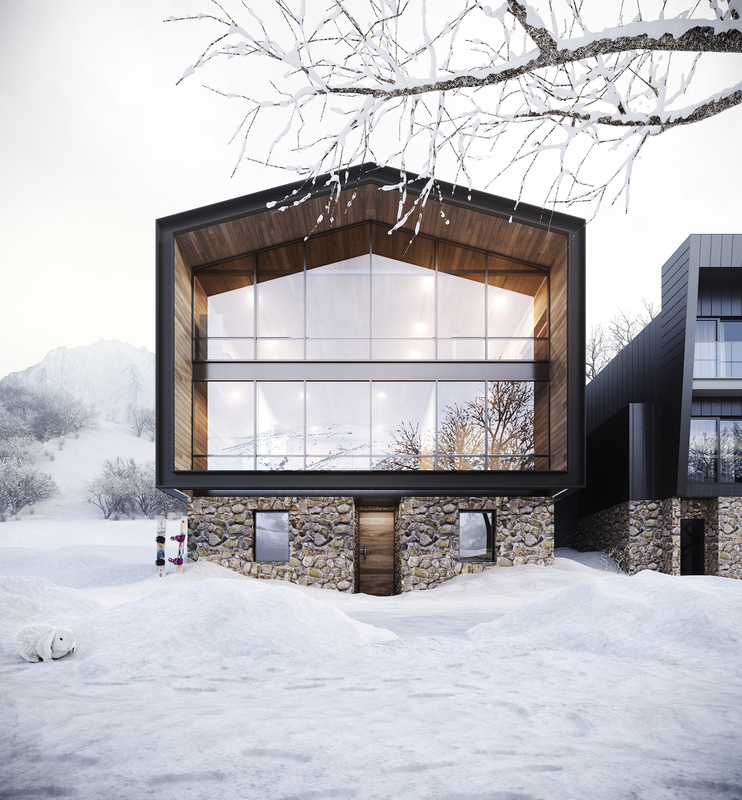 Hotham House, designed by Angela Harry in collaboration with Workroom Design, has been designed as a luxurious ski-in-ski-out private home on the slopes of Mt Hotham in Victoria. Angela designed the interiors to compliment the striking architectural form – a modern interpretation of an old style barn home – with pitched roof, stone, glass and steel, the home is designed to perch above the snow covered grounds in winter. The interior is a contemporary, warm and inviting winter retreat, with natural timbers chosen for the ceiling, flooring and joinery, and plush textiles helping to create the desired cosy atmosphere. A voluminous lounge and dining space, centered around the large brick fireplace, provides space for family and friends to gather, dine and relax after a day on the slopes. 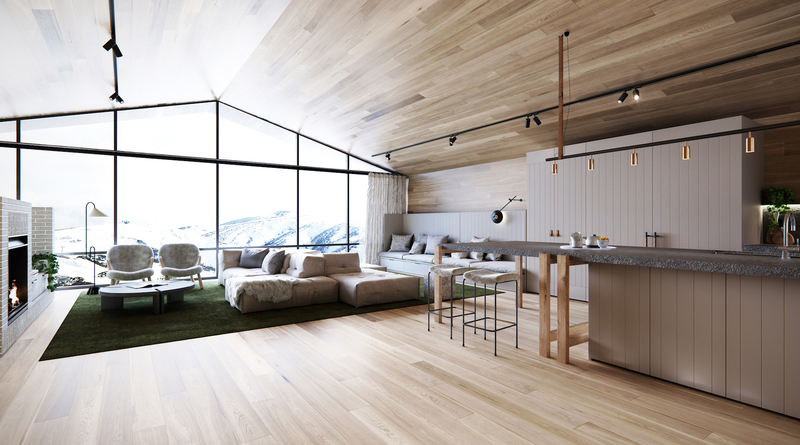 The expansive windows fill the living area with natural light and orientate the home towards the mountains, allowing for uninterrupted alpine gazing.